This charming 2 bedroom condo – just a short walk from downtown Dover – is a must-see! The sun-filled first floor unit features 9 foot ceilings, 6-foot windows, hardwood floors throughout and plenty of detailed moldings & trim. Original french doors lead from a formal dining room with built-in china cabinet to a living room complete with a beautiful brick fireplace and built-in bookshelves. Enjoy cooking in an up-to-date kitchen with stainless steel appliances and having an in-unit washer and dryer. The spacious back-yard has plenty of room for gardens or flower beds. 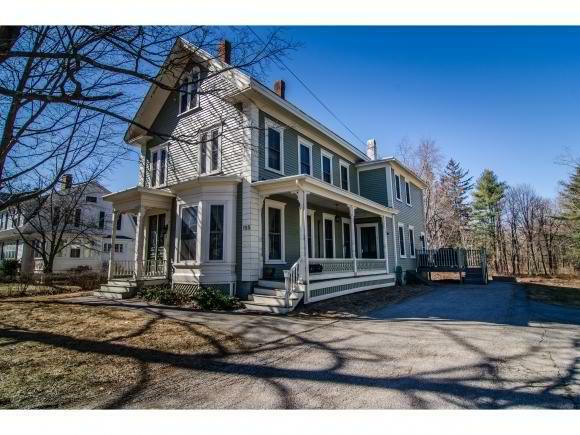 This ideal location is perfect for commuters – just 10 minutes from UNH and Portsmouth. Come see this beautiful condo and experience all of the charm in person! Call Karin at (603) 781-3347 to schedule a showing today!